Drivers using the Forth Road Bridge have been warned that they face delays this evening, even if it is reopened after this morning’s closure. The bridge has been closed in both directions after a lorry was blown over in high winds early this morning. It’s hoped the bridge will be able to reopen to traffic but with some restrictions later today, however the overturned HGV needs to be removed from the bridge in a complex operation before a detailed damage assessment can take place. And with more weather warnings in place for the next few days, drivers have been urged to take use caution. The public is being urged to avoid the bridge and surrounding area or allow extra time during this evening’s peak as, even if the bridge does reopen, restrictions will be in place to allow repairs to be carried out. Bridge chiefs say that only then will a decision be made about reopening the bridge, with restrictions in both directions likely for the peak evening period. The HGV has already been removed from the central reservation but currently remains on the southbound carriageway. It’s hoped extensive repairs to the central reserve grill will get underway later today. Repairs to the bridge and the reopening of one lane in both directions is highly dependent on wind speeds remaining low. Police Scotland has confirmed that a 54-year-old man has been charged in connection with this morning’s incident. He sustained minor injuries. The haulage industry was contacted by Police Scotland to advise of the severe weather warnings in place. Traffic Scotland has confirmed that high wind warnings had been issued and that signage was in place at the time of the incident. Southbound traffic is currently being diverted from the M90 Motorway at the Admiralty junction onto the A985 to Kincardine for onward travel. Northbound traffic on approach to the bridge is being diverted off the A90 at Echline and can travel along the A904 to join the M9 at Junction 2 or be turned around to travel to M9 J1A. This morning traffic was very busy in the surrounding area, especially on approach to Edinburgh on the M9 at Newbridge, the A985 on approach to the Kincardine Bridge and at Kilbagie Roundabout. Speaking after a meeting of the Scottish Government’s resilience team this morning, which was chaired by Deputy First Minister John Swinney, Transport Minister, Humza Yousaf said: “This morning we witnessed a very serious incident on the Forth Road Bridge and the consequences of ignoring travel advice during severe weather warnings. Luckily no one was seriously injured, however a great deal of disruption has been caused and it is an extreme but timely reminder of the importance of listening to advice and checking travel bulletins and VMS messaging before travelling. “Once again the engineers and Forth Road Bridge team find themselves in the spotlight and I am hopeful they will be able to get the bridge reopened to traffic as soon as possible, albeit with restrictions in both directions likely. They are carrying out very challenging repairs in difficult conditions and the damage to the central reservation is significant. “We should therefore be prepared for delays and disruption over the next few days as engineers assess the damage. Even if the bridge does reopen it is likely to be under traffic management with restrictions in place in both directions. “More widely there are a number of severe weather warnings still in place for much of the country. The conditions will inevitably lead to some difficult driving conditions. Gritting teams will be out across the period to help keep the trunk roads moving. Gritters will also be patrolling at strategic locations on the network to make sure that they can respond to any emerging issues. “Key routes are being monitored across our network of weather stations and live cameras and the Traffic Scotland National Traffic Control Centre will take all of this information and send it out to road users through the website and Traffic Scotland twitter feed on a 24/7 basis. 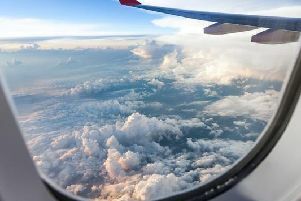 “We would ask that people keep the conditions in mind when they are making their travel plans and leave plenty of time. We are making as much information available as possible to allow the public to make informed decisions. The winter treatments page on the Traffic Scotland website has details of which routes are being treated and our Trunk Road Gritter Tracker lets road users see where gritters have been out in the last 24 hours. Mark Arndt, Amey’s Operating Company Representative for the Forth Road Bridge said: “We’re still in the process of assessing the damage caused by the HGV but we know that there is around 40m of damaged steelwork on the central grillage.